One for those of us who love tales of the natural world, and who enjoy seasonal woodland walks when things lie deep and crisp and even. 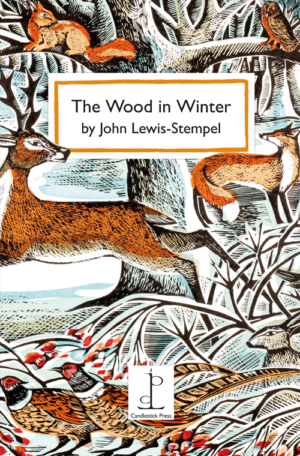 John Lewis-Stempel’s The Wood in Winter is a beautiful piece of nature writing about the life of a wood in bleak midwinter, tying in old festivals and traditions which are so weighted with meaning at this time of year. He writes about why being in a wood in winter strips us to our essential soul, and how close encounters with the animals who thrive in this hard season remind us of our own deep connection to the earth. John Lewis-Stempel is an award-winning writer known for his books on nature and history. He lives in Herefordshire where his family have been farming for over 700 years. Poems by Nancy Campbell and Jackie Kay. Illustrations including cover by Angela Harding.